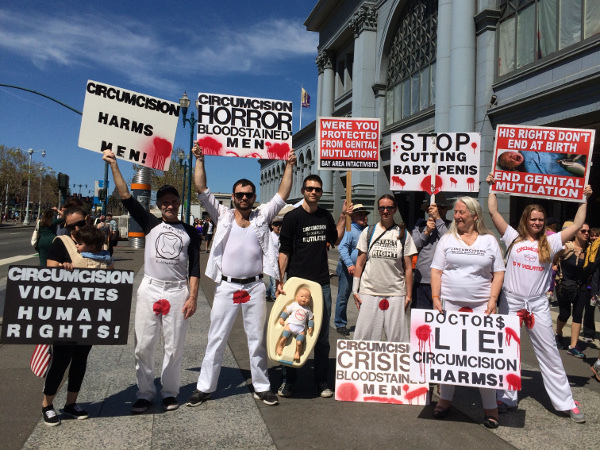 Bay Area Intactivists will hold a peaceful demonstration outside the Hyatt Regency San Francisco during the 48th Annual Advances & Controversies in Clinical Pediatrics conference to confront those who force genital modifications on healthy male, female, or intersex children. All forms of unnecessary genital alteration violate medical ethics and the human right to bodily integrity when performed without the informed consent of the patient. Bay Area Intactivists will provide protest signs and literature for distribution but you are also welcome to bring your own. Take a stand with us to remind medical professionals that their role is to heal, not harm.